This special author event featuring Kristy Woodson Harvey will be held Saturday, May 11, from 11 am to 1 pm at South Main Book Company! Harvey's latest Peachtree Bluff novel, _The Southern Side of Paradise_, will be released May 7. Save the Date for "Bloody Mary Books & Bites" today! Call 704-630-9788 to pre-order. Books for signing must be purchased at SMBC. Let the festivities begin! South Main Book Company will host a Winnie the Pooh Party on Saturday, May 18, from 2 — 3 pm. This event will be held the same Saturday as Salisbury’s Cheerwine Festival. Enjoy games, treats, and fun — as well as a free book! This party is designed for ages six to 12. Cost is $12 per child. Space is limited, so call 704-630-9788 to prepay and reserve your child’s spot! New members are welcome! Members receive 10% off their purchase of the monthly selection. This month, members will discuss Nicole Magryta's Nourish Your Tribe: Empowering Parents to Grow Strong, Smart, Successful Kids. Bluegrass band One Fret Over will be playing on the mezzanine. A festive time will be had by all! Mr. Robert, Children’s Librarian at Rowan Co Public Library, is back for"Not-So-Scary Stories," an engaging Halloween storytelling event on Fri 10/26, 7 to 8 PM. Costumes encouraged. Mr. Robert is a treat for the whole family--he's simply the BEST children's librarian we've ever met! See you Friday at 7pm for family fun! Authors Karen Fritz, Frank Morelli, Barbara Lawing and Marcia Phillips will be here to talk about their books and sign copies! Join us at West End Plaza, Salisbury (the old mall off of Statesville Blvd) for a discussion with Sam Quinones, LA Times writer and "Dreamland" author, about the current opioid crisis. Mr Quinones will be signing books before he speaks at 7:30. "Pachinko" is one of my all-time favorite books and I'm thrilled that Min will be here to talk to us about the book, its process and the background to the beautiful storyline. Come out to Downtown Salisbury Friday Night for our Annual Jingle Mingle and meet an author ~ Also, signed books make GREAT gifts! Cathy Eller, Charlie Wilson and Matthew Readling will be here to sign away the hours..
We're opening for special business hours to host Alan Gratz on Sunday, September 10th from 3 -5 pm for a signing of his new book, Refugee. Don't miss the chance to meet Gratz and spend some extra time at your favorite bookstore! This month we're reading Joan Didion's Year of Magical Thinking. Join us for discussion on September 7th at 6pm! Talented musician Grant Peeples will be here to help us celebrate our first year as South Main Book Co. ! Grant is an amazing guy with a great vibe and I'm really thrilled that he will be here. 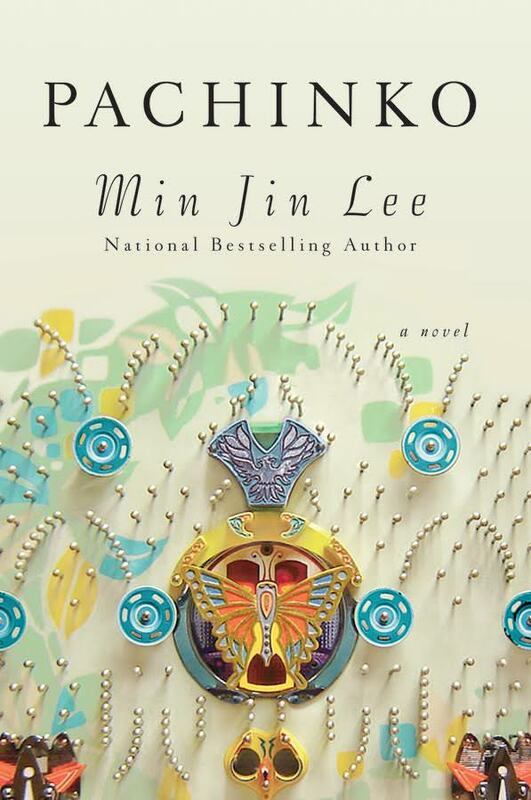 Join us June 1st for a lively discussion of "Pachinko" by Min Jin Lee. I guarantee the lively part as this is a group of incredibly intelligent and funny women who do not hold back! This was my favorite book of 2016~ Ten years in the making, Pachinko is an incredible tale of a four generation Korean family in Japan. Min Jin Lee deserves every excellent review she is getting for this book and the prizes that it is sure to be awarded. Children ages 5+ are invited to join us for an Alice in Wonderland themed tea party! The fee is $10 per child and includes admission to the event and a copy of the story. Anna Jordan will host the event and has planned fun activities. We encourage children to come dressed up as anything their imaginations can dream up! Also known as the Sustainability Book Club, meet with Dottie Hoy and Gavine Pitner and join in on the discussion of this month's enviromental read, The Hidden Life of Trees by Peter Wohlleben. Join us Friday night for Phillip's signing of The Barrowfields. Phillip is an attorney from Charlotte and his new book is getting a lot of notice (Ron Rash gave it a great review!) and we are excited to welcome him to South Main Book Company.